It’s been 5 long years for many of us – globally. There have been casualties and certainly there must have been some who have prospered by that. 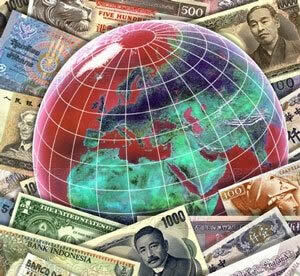 I keep expecting for the global economic situation and the more local situation of the economy in the United States to improve. Depending on who’s forecast you wish to believe, things are going to get better soon (but we’ve been hearing that consistently for a long time, as if willing it could make it so) or we’re in for more of yet the same, a long and bumpy ride is expected to be still ahead for all of us. 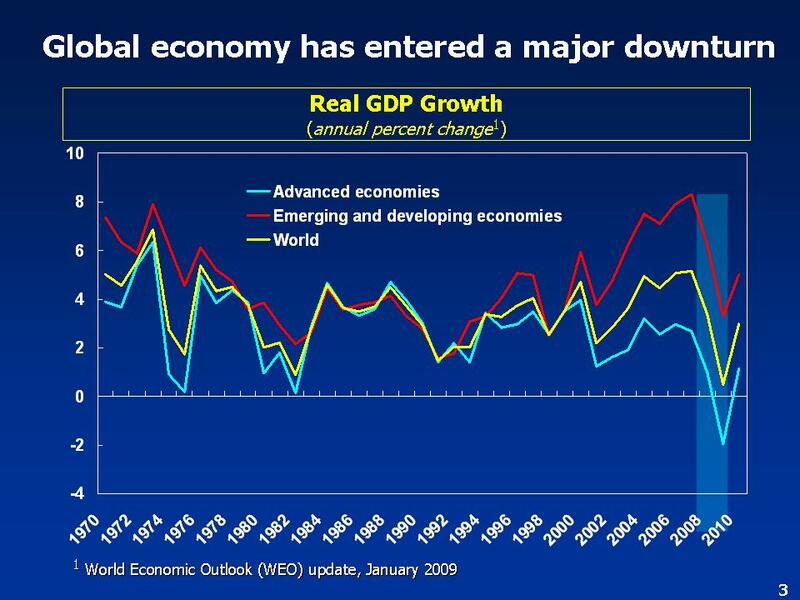 Last night, I read a gloomy perspective in the most recent Time magazine issue (April 7, 2014) by Rana Foroohar titled “Globalization in Reverse” (What the … slowdown means …). Foroohar notes that there is no longer the “easy-money” environment to spur economic growth. That wages might show some increase is doubtful. A more volatile and less predictable time ahead is forecast. China is in the midst of an economic crisis. Japan’s “Abenomics” is faltering. Europe is not expected to come out of their own debt crisis for another 5 years. The US Trade Deficit is shrinking because consumer spending here remains sluggish. Personally, I don’t know if the pessimistic vision or the optimistic vision will eventually play out. I don’t feel the least bit of certainty about that. Within the Plastics industry there is great hope in the shale energy deposits. Certainly, there have been issues with establishing production in other countries, as business continues to seek advantage in lower cost labor and less stringently applied environmental laws. Personally, fracking deeply concerns me. The Keystone pipeline worries me. The plastics industry has been bloodied in China, just as the oil industry has invested its resources in the Middle East or Mexico, only to later have their investment “nationalized”. Just as businessmen rushed into Russia as the old Soviet Union began to seek a new economic and governmental model for their nation. Business does not always understand the culture or the politics in the countries they seek to exploit. Many have had a rude awakening. So, some manufacturing businesses are returning to the United States and China faces a reckoning as their one child policy becomes a lack of labor excess in the near future. Our business has always been 100% American. Americans use the containers or tires or other materials that are later recycled to become the feedstocks we use for the “new” materials our business creates. 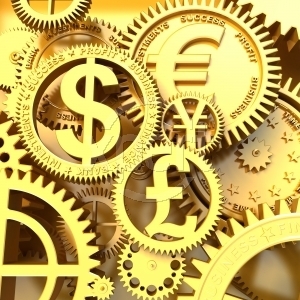 We are an axle on the wheel of financial flows. All that comes in is circulated out, though some is used for our family’s necessary support, most of what comes in goes back out to support other small businesses that we have aligned ourselves with. We have long been grateful that not only are we able to support our family but that we can feel good about what we do to bring financial resources into, through and back out of our lives. We know that we are contributing to the greater good, by doing what we do – keeping waste from being prematurely disposed of into landfills, when it continues to have a usefulness that should not be wasted. We know that environmental ethics are not the “value” that our product’s desire-ablility should be based upon. We have long sought to consistently improve the quality of our product, so that the product is a good quality investment on its material attributes. We live our vision for a world that increasingly works for everyone inhabiting it in life-affirming and beneficial ways. While it is true that we are not all born equal, nor do our lives reflect an equality of opportunities and comfort, and our deaths are not all of the same cause – it is possible for this planet to be more supportive of all who live upon it than it has been throughout its history. You may say that we are “dreamers” but we’re not the only ones. Someday, it may be our dreams that have lead the way, to a better way for all who live. Water seems to have been the “material” focus of my week. 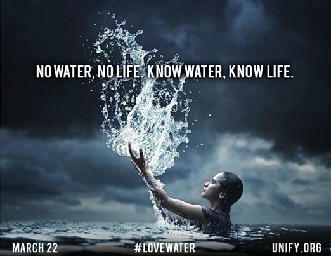 Just yesterday, March 22nd, 2014 many people all over the planet celebrated World Water Day thanks to events organized by Unify.org. Many of my acquaintances are aware that, thanks to internet connectivity, the good will of average people can be harnessed – to raise awareness, and even to encourage active participation, in collective events. People Power. There is only ONE Body of Water which is expressed on this planet, as all rivers, streams, lakes, and oceans. All water is connected – there are no political or physical boundaries – keeping any drop of water from any other global water. All humans, regardless of race, religion or creed, were born from a womb of water, depend on water to live and have some connection with water everyday. For 25 years, we have been among the FIRST YEAR teams to sign up for a Missouri Stream Team. We are happy to be sharing the joy of celebrating their 25th Anniversary. We mentored a group that wanted to start a stream team for a local river. We recycled as much of the trash that we took out of the river as possible – with these results – out of 1/2 ton of trash collected by 4 adults and 2 children in 7-1/2 hrs spent wading the Castor River near Marquand, with our recycling experience we were able to fully recycle over 92%. Missouri Streams Teams are volunteers trained and involved in more than trash removal, they are trained to test scientific water quality measurements, to understand the characteristics of a watershed, to raise awareness in order to prevent storm drains from being used as disposal sites. And the FRESH water quality issues the MO Stream Teams are willing to tackle grow – year by year. The U.S. Environmental Protection Agency (EPA) estimates that between 0.1% and 0.4% of usable surface aquifers are contaminated by industrial impoundments and landfills. Dumps and landfills are a threat to water supplies when water percolates through waste, picking up a variety of substances such as metals, minerals, organic chemicals, bacteria, viruses, explosives, flammables, and other toxic materials. This contaminated water is called leachate and is produced when the waste becomes saturated with water. Wastes with high moisture content or which receive artificial irrigation, rainwater, surface or groundwater infiltration produce leachate and methane gas. It has been shown that once a dump is saturated, annual precipitation of 36 inches per year can percolate 1 million gallons of contaminated water per acre. If the leachate is not contained and migrates from a site the chemical and physical properties of the substances and the soil, as well as the hydrogeological conditions around the site, will determine the extent of contamination. If a leachate reaches ground or surface water it could contaminate water supply wells. Dumps and landfills are not entirely synonymous and a distinction should be made. A dump is defined as, “a site used to dispose of solid wastes without environmental controls”. The term ‘landfill’ is replacing ‘dump’ due to the modernization of our solid waste facilities. Landfill is defined as a “facility in which solid waste from municipal and/or industrial sources is disposed”. Sanitary landfills are those that “are operated in accordance with environmental protection standards”. This distinction is very important because it allows us to distinguish between two different eras and practices. Even so, some modernized landfills are poorly engineered or located in an environmentally unsound areas. The upgrade of waste disposal sites from dumps to environmentally sound, solid waste disposal systems was mandated by a set of hazardous waste amendments passed in 1986. Landfills are now regulated at one of three class levels, depending on the nature of solid or hazardous waste accepted. Well designed landfills should not cause water quality problems because leachate problems are anticipated and controlled. The Stream Teams clean up illegal dumping but in our local area, the landfill has been closed by more stringent standards and all of our local waste is transferred to an “approved” landfill. Still, since we have to drive at least 20 mins to take landfill trash and recyclables to our local county seat – we do compost everything organic – and sort for recycling, everything that we can. We have to drive over an hour to drop off glass at a facility that will accept it. There are local people happy to take our metals to a salvaging facility, in exchange for whatever the going rate of compensation for it is. In Missouri, we are blessed with an abundance of FRESH water. I grew up in El Paso, TX, the desert southwest alongside the Rio Grande River. Although many people joked about our river during my childhood public school days in the late 1960s, early 1970s; at least, there was always WATER flowing there through it. In my early twenties, I witnessed a young girl drown, in that river. 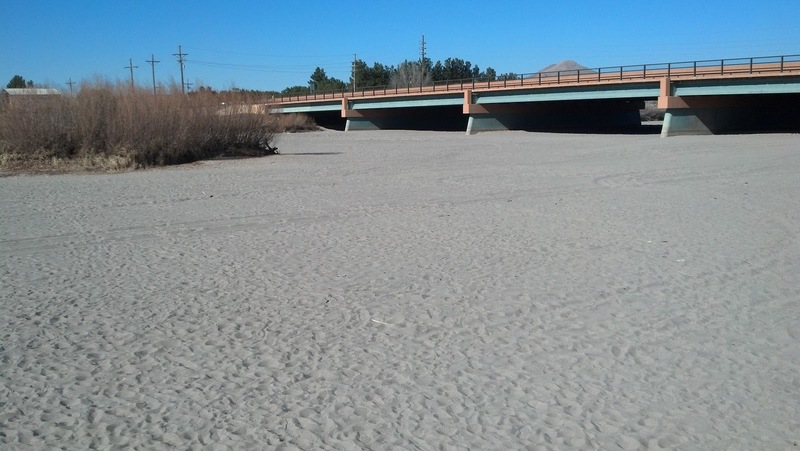 So you may be able to imagine my personal sadness, to see the Rio Grande River completely DRY; when I took my children for a visit in Jan 2013, to the places around NM and TX that I was born and raised in, or had lived in the Mexican border culture of. 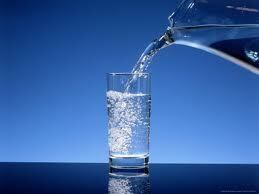 Water is one of the MOST BASIC components of life on Earth. It is what makes our planet so truly beautiful when viewed from outer space. Many experts agree that the most serious issue facing humanity both NOW and into the future is the issue of drinkable, fresh water. The water we drink today has likely been around in one form or another since dinosaurs roamed the Earth, hundreds of millions of years ago. The Mountain Valley bottled spring water my family drinks (the water from our well is not really palatable but at least it is safe for drinking, cooking and bathing in) comes from deep in the Arkansas mountains and is estimated to be thousands of years old by the time it filters down to the source and is discharged again. While the amount of freshwater on the planet has remained fairly constant over time — ingeniously and continually recycled by Nature’s wisdom, through the atmosphere and back into our drinking cups — the planetary population has exploded since the 1930s. This means that every year, the competition for a clean, abundant supply of water for drinking, cooking, bathing, and sustaining life grows more fierce. Water scarcity is already a reality for many people on our planet. You might be surprised to learn that fresh water makes up a very small fraction of all of the water on the planet. While it is true that nearly 70 percent of the world is covered by water, it can be startling to learn that only 2.5 percent of this water is fresh, drinkable water. The rest is salty in our oceans and seas. Water is actually even more scarce than I have shared thus far – only 1 percent of ALL the planetary fresh water resources are easily accessible, because a lot of that water is trapped in glaciers and snowfields. So that we are now down to the fact that only 0.007 percent of the planet’s water is actually available to living entities on this planet, to fuel and feed its 6.8 billion + people (and much more “life”, than people life, depends on water to nourish it). Due to many diverse factors, some regions, like our state of Missouri, can seem so abundant in fresh water that it is hardly given a second thought. But many people on this planet, even here in the United States like the state of California, face critical issues of drought. Many others have unacceptably polluted waters. In much of the developing world, clean water is hard to come by for many diverse reasons. We need to hold precious ALL of the water on our planet and individually there are many things that we can do – recycle, properly dispose of medications, fuels and oils, never litter, never dump, refuse to waste water where it is in short supply. Rethink our landscape choices to reduce the burden of watering and irrigation on fresh water resources. Yemm & Hart, by being active in water quality and recycling issues, is walking their talk every day. How about you ? It is always inconvenient when the way we’ve always done things becomes problematic. Take BPA – I recently heard a NPR program that indicated that careful research has not proven a significant concern. The programming was based on news that the US Food and Drug Administration published a paper finding that BPA was safe in low doses. That program indicated that in testing the substance on amphibians, the amount required to show any estrogenic effect was so high, that it is unlikely that any human being would ever receive such a dose. 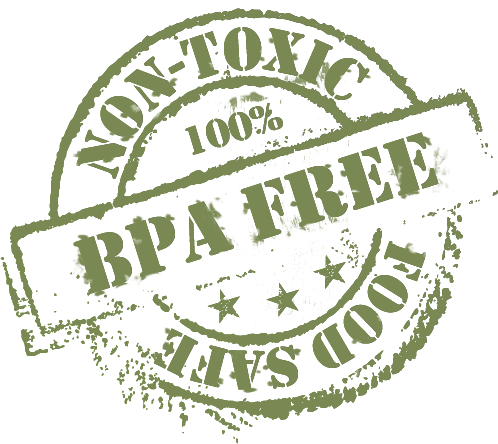 BPA is used in a wide assortment of products, including paper receipts, plastic containers, and canned goods. Scientists are concerned that the chemical mimics the effect of female hormones and causes medical problems, such as cancer, learning disabilities, and immune system disorders. BPA exploded into the headlines in 2008, when stories about “toxic baby bottles” and “poison” packaging became ubiquitous. 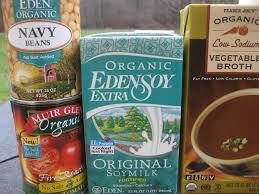 Good Morning America issued a “consumer alert.” The New York Times urged Congress to ban BPA in baby products. Sen. Dianne Feinstein (D-Calif.) warned in the Huffington Post that “millions of infants are exposed to dangerous chemicals hiding in plain view.” Concerned parents purged their pantries of plastic containers, and retailers such as Walmart and Babies R Us started pulling bottles and sippy cups from shelves. Bills banning BPA in infant care items began to crop up in states around the country. However, since the first alarms about BPA were raised, new forms of packaging have evolved to reassure human beings that their food is safe to eat. Personally, I would rather err on the side of over-reaction, if alternatives exist – than take a chance of some chemical that has raised concerns. And yet, that is not the end of this story and it is difficult to feel reassured. Mother Jones has published information that BPA-Free Plastics are not necessarily risk free either. The problem as identified by Michael Green, who runs the Oakland, California-based Center for Environmental Health, relates to research suggesting some of these new generation, BPA-free plastics, contain synthetic estrogens, too. There are plenty of concerns to go around. In the FDA study, it is said the lab was entirely contaminated with the BPA chemical; and therefore, not controlled enough to be reliable. George Bittner is said to have a conflict of interest, in that he founded an Austin TX based company called Plastipure Inc, which markets plastics that it claims are “significantly safer materials, free of all estrogenic activity”. Eastman Chemical won a federal lawsuit last year against Plastipure when a jury found that Plastipure had made misleading statements about Eastman’s BPA-free Tritan product. The controversy has set off a bitter fight with the $375-billion-a-year plastics industry. The American Chemistry Council, which lobbies for plastics makers and has sought to refute the science linking BPA to health problems, has teamed up with Tennessee-based Eastman Chemical—the maker of Tritan, a widely used plastic marketed as being free of estrogenic activity—in a campaign to discredit Bittner and his research. The company has gone so far as to tell corporate customers that the Environmental Protection Agency (EPA) rejected Bittner’s testing methods. (It hasn’t.) Eastman also sued CertiChem and its sister company, PlastiPure, to prevent them from publicizing their findings that Tritan is estrogenic, convincing a jury that its product displayed no estrogenic activity. And it launched a PR blitz touting Tritan’s safety, targeting the group most vulnerable to synthetic estrogens: families with young children. “It can be difficult for consumers to tell what is really safe,” the vice president of Eastman’s specialty plastics division, Lucian Boldea, said in one web video, before an image of a pregnant woman flickered across the screen. True as far as that goes but that doesn’t necessarily reassure consumers. The recycle code can help reduce risks – “The number 7 doesn’t necessarily mean the product contains BPA,” according to Rebecca Roberts, PhD, a BPA researcher and assistant professor of biology at Ursinus College in Collegeville, PA. “It means it might.” Seven signifies a group of miscellaneous plastics including polycarbonate plastic (BPA is used to harden this type of plastic). The number 3, which stands for Poly-vinyl Chloride (PVC), may also contain BPA, whereas the numbers 1, 2, 4, 5, and 6 are very unlikely to contain BPA. Our Origins plastics are primarily #2 HDPE, some # 4 LDPE and a small amount of #5 Poly-propylene. 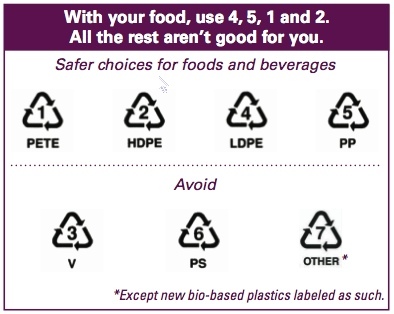 But since the numbers 7 and 3 don’t always mean the product contains BPA, how can you know what to toss and what to keep? “Unfortunately, there’s no real way to tell,” says Roberts. As long as we live and breathe and our hearts beat, Life will continue to present complex safety concerns. Living is dangerous and no more so, than in our modern times with the prevalence of volumes of chemicals with little known side effects and a lot of suspicions. I believe that controversies can be good for materials and the public health. Cork experienced a similar phase, when age-old practices were shown to contribute to a concern known as cork taint. Into the fray, came metal screw caps and synthetic cork forms as replacements. Natural cork producers responded by improving their practices to take the production of cork to food or pharmaceutical grade safety. Even though “cork taint” was addressed, the industry must now make the case (which can be ably made) that natural cork has aspects that make paying more worthwhile. Dr Paulo Lopes explained his research in conjunction with the University of Bordeaux. It suggests that bottles sealed with cork do transmit oxygen to wine, but there is no ingress of external oxygen: 90% of cork’s structure is air, so cork itself is responsible for transmission to the wine. Screwcaps, on the other hand, are basically impermeable and run a risk of ‘reduction’ (sulphide problems), whilst synthetic closures allow ingress of atmospheric oxygen, failing to maintain their seal over time. Dr Lopes’s hypothesis is that cork is the best ‘balanced’ of the closure materials, and given careful quality control in manufacture, does not allow atmospheric ingress or high variability. As environmentalists and parents, we are willing to pay more for higher quality foods and products. As business people, we support the usage and recycling of plastics and wine cork stoppers. Knowing what’s best is never easy in a modern world full of conflicting and abundant information. We can each, only do our best. SUPER SIZE me NOT !!! This week’s blog was inspired by the EgoLogic laundry detergent container in the image above (made of a cardboard shell that encloses a plastic bag). The packaging company’s slogan is “packaging the earth can live with”. The plastic bag is made of low-density polyethylene, identified with the #4 resin code, and can be recycled through centers that take plastic bags, such as supermarkets with bag collection bins. The bottle cap is polypropylene, #5, and though sometimes not accepted by recycling centers, though some will take it; you can also make an extra effort to leave it in “Preserve’s Gimme 5” collection bins at Whole Foods Market stores. The cardboard shell, meanwhile, can be recycled or even composted in home and industrial settings. The shell is 100 percent recycled, made from 70 percent cardboard and 30 percent newspaper. Using paper for the bulk of the container results in Seventh Generation using 66 percent less plastic per bottle than most 100 oz HDPE laundry detergent bottles. 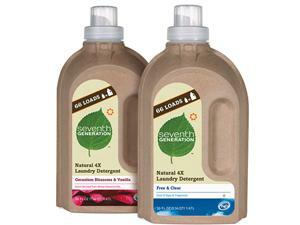 The 4x concentrated detergent comes in a 50 oz container that will wash 66 loads, the same number of laundry loads as the company’s 100 oz size. 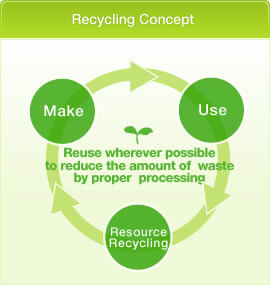 And this is directly relevant to our recycled materials business. We take #2 HDPE plastic containers turned in for recycling; and make panel products from these, under the name Origins (because it acknowledges the source of its existence visually) which are used for surfacing applications, countertops and restroom partitions. In the image below, if you look closely enough, you can even see some bits of labels that did not come out completely from the plastic washing procedure. You can see the colorful nature of the laundry aisle at your favorite grocery store represented in the colors below. Now, I’m not going to claim that the debut of Seventh Generation’s 4x “Ego Logic” laundry detergent container has me worried about the imminent demise of our business. Yet, it does speak deeply to issues that concern me personally as an environmentalist. Our global economy is based on consuming resources and businesses tie their profitability to our buying more and more, and sometimes that “more” is accomplished by our consuming bigger and bigger sized units as their customers. With a global population that has grown exponentially during the last century, this “OLD” business model is NOT sustainable. 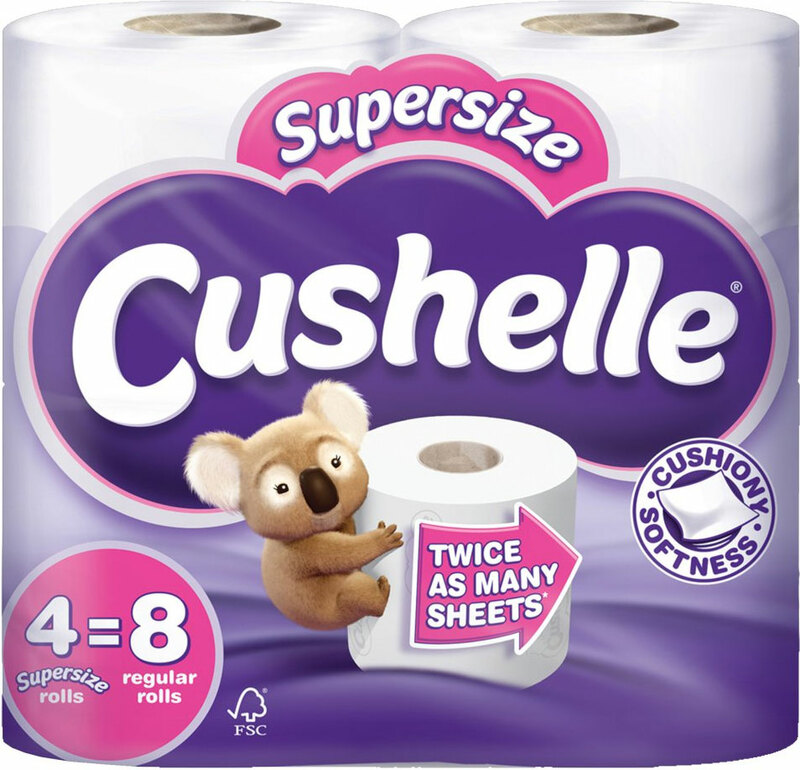 Look at the current state of toilet paper rolls, for example (and I personally ALWAYS look for a product with some recycled content). These have grown so “super sized”, that they don’t really fit in my bathroom storage bin anymore. Our nation has grown obese on fast food and quick shops offering gigantic sodas, at a lower price than a small size. For a couple of decades, since restaurant meal portions have grown so very large, my husband and I have been splitting our single entree, and having more than enough to eat; and now, we even share that 3 ways with our oldest son, adding salads or soups to make the meal stretch adequately. The humanity of this planet can not continue to make rampant over-consumption of resources, our holy grail to economic well-being. It is NOT sustainable – period. A change in containers may ultimately affect the availability of recycled #2 HDPE plastics as a feedstock for our Origins material but I’m not too worried yet. 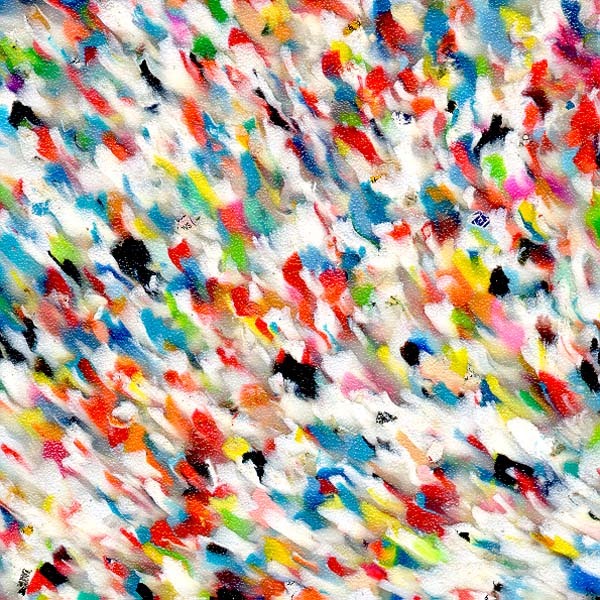 The pace of change is not that rapid. In the “State of Green Business”, GreenBiz.com’s 7th annual assessment of corporate sustainability trends and metrics, a picture emerges that is both optimistic and highly problematic — and according to Joel Makower represents a perfect metaphor for the sector. His verdict? “For all the efforts companies are making, it’s not leading to progress.” You can read more by clicking on the link under “Information Resources” below. 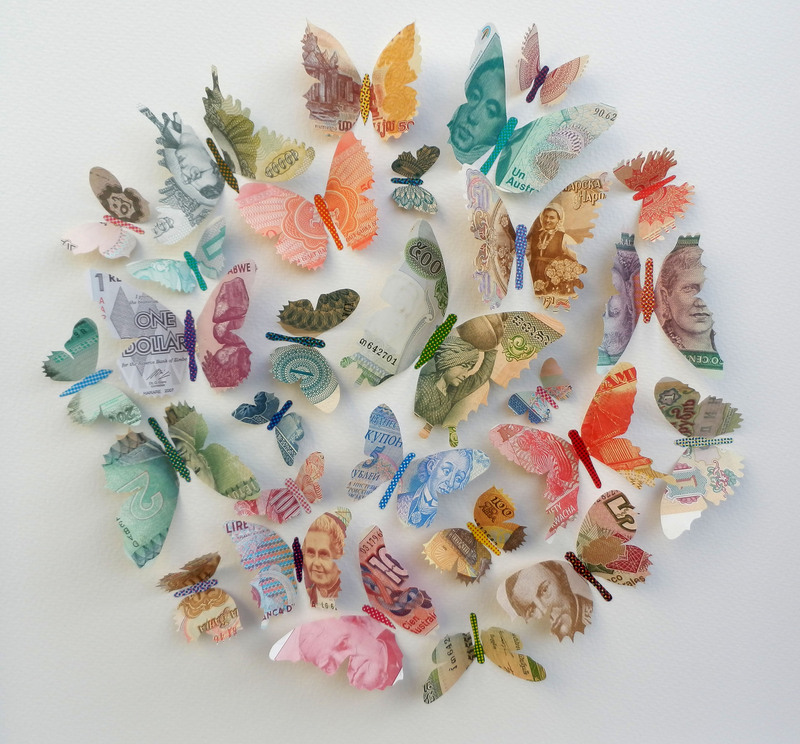 I have an online friend in New Zealand, Ted Howard, who has spent decades now trying to change that basis of our collective reality (you can read his Money blog, from the link in the information resources section below). As yet, he has not been successful; but with a nod to the recent passing of International Women’s Day (March 8th) and my watching of the 2005 movie “North Country”, the night before, about women forced into aggressively male working environments, simply because that is the only way they can provide “enough” of what could even be arguably termed a “decent lifestyle” for their children – I think a vision such as Ted’s would make a difference in that dynamic. But this is a blog about materials; and not about economics or women’s issues. Everything in life is connected somehow; and today, my perspective is focused on what this new container from Seventh Generation says to me personally, and to the nature of our business. Every time I pour a minuscule amount of the concentrated detergent into my HE washing machine (a 50 oz 4x EcoLogic bottle washes the same number of loads, as a 100 oz 2x HDPE bottle) I am encouraged that a shift is occurring in our human value systems, that has previously favored the “always low price” mentality of WalMart’s claims. I’ve noticed at WalMart (believe me, it is the price of living in remote wilderness, that one must accept WalMart as the only option to get some of the “necessaries” of life – though I personally prefer Whole Foods and the higher quality stores available to me, a hundred miles away in St Louis !!) that “getting that low price” has often involved buying a “super sized” item (sometimes that size is the ONLY choice available) that is way more than I really want. So, don’t “super size” me !!! Just give me enough of what I REALLY need and the sustainability of our species given the resources of our planet will be more likely over the long run. I’m even willing to pay MORE to help assure that outcome. That red carpet tonight actually has a lot of “green” to it. Actually, there’s nothing “new” about last year’s red carpet. According to Allen Hershkowitz (a senior scientist at the NRDC), not only was it made of entirely recyclable materials, but it was used in 2012 and 2013 too — and the plan is to roll it out again this year, in 2014. Back in 2007, actor Ed Begley Jr. explained, An Inconvenient Truth was up for an Oscar, Leonardo DiCaprio showed up in a hybrid, and suddenly, “it became cool to be green.” That year, the Natural Resources Defense Council (NRDC) teamed up with the show’s producer Laura Ziskin to reduce the environmental impact of the event. ”By announcing this initiative from such a legendary and respected stage, the Academy is reaching tens-of-millions of people across the world with a message that cleaner, more sensible energy choices and a simple commitment to environmental stewardship are Oscar-worthy endeavors for everyone,” Frances Beinecke, NRDC President said in a press release, at the time. Even the food and supplies to serve it are environmentally friendly. For example, at the Governor’s Ball, the food served was sourced from 80 regional farmers. The seafood had to be certified by Seafood Watch. And any food that was prepared but not consumed, was given to LA Specialty Chefs to End Hunger. Flowers were either composted or donated after being used. Recycled goods were part of the invitations as well as napkins for the Governor’s Ball. 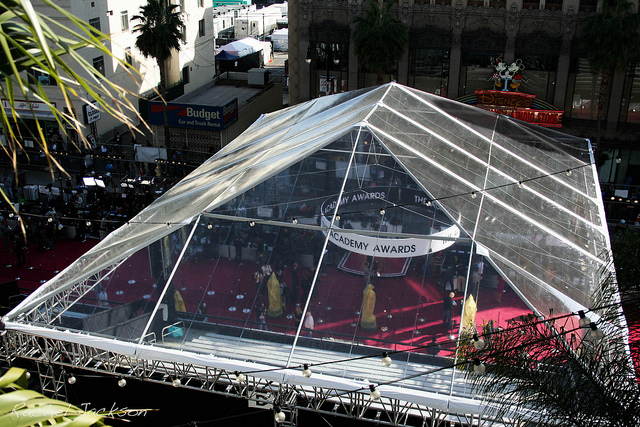 In the Dolby Theater, where the ceremony is held, easily accessible recycling bins were implemented to allow backstage workers to recycle throughout the ceremony’s preparations. Out of 50 tons of non-food waste, at the end of last year’s awards show, 70 percent of that was recycled. It is estimated that through paper-saving measures, like double-sided printing, 10,000 sheets of paper were saved. Suzy Amis Cameron, wife of James Cameron of Avatar fame, created a related even in 2009 known as the Red Carpet Green Dress competition. The winning red carpet look is made from organic, sustainable, or recycled fabrics, and the winning designer is mentored by an established brand to help create the glamorous gown. This year, actress Olga Kurylenko will reveal the winning design, a dress by Alice Elia. Alice is from Bordeaux, France and is of French-Lebanese descent. She is currently studying ESMOD’s ‘Fashion Design & Creation’ curriculum in Paris, and is currently being mentored through dress construction by the college’s couture team. . Beyond Skin (an ethical footware and fashion label in the UK) has collaborated with PETA to develop a vegan, limited edition, red carpet shoe for Red Carpet Green Dress. The faux suede and metallic-trimmed evening shoe is made from Dinamica (manufactured in Italy) is durable, long lasting, and made from 100% recycled bottle tops. Hershkowitz also pointed out the incredible platform for advancing sustainable initiatives the Oscars provides. As a large organization actively working to reduce its footprint, there are direct, positive effects on the environment. The publicity that goes along with this places “green” business practices at the forefront of discussion, and makes it a desirable trait for an organization or company. But Hollywood’s commitment to environmental awareness and sustainability support goes beyond one event. For a long time, we have been aware of the work of the Environmental Media Association, a nonprofit organization dedicated to harnessing the power of the entertainment industry and the media to educate the global public on environmental issues and motivate sustainable lifestyles. As they are quick to point out – “Green doesn’t always mean something is sustainable. And sustainable may not always be the best choice.” There are degrees of “green” and the “greenest” could be defined as what is actually sustainable. And there are even degrees of sustainability. Debbie Levin, EMA President with Darren Criss, actor-singer. Every year, the EMA has an awards night as well. The 23rd Annual EMA Awards was on Oct 19, 2013. They are so green, that they don’t have a “red” carpet, they have a green carpet. Examples of some of the work honored include for Feature Film “Promised Land”, for Documentary Film “Gasland Part II”, for Television Episodic Comedy from Last Man Standing “Mother Fracker” and for Children’s Television from Nick News With Linda Ellerbee “What’s the Deal With Fracking?”. Some of the 2013 EMA Award Honorees included Matt Damon, who received the EMA Board of Directors Ongoing Commitment Award and Bill McKibben who received the EMA Lifetime Achievement Award. And when you pop that cork on your bottle of wine while watching the Academy Awards on Sunday night (Mar 2nd, 2014), don’t forget to recycle BOTH – the cork and the glass bottle. 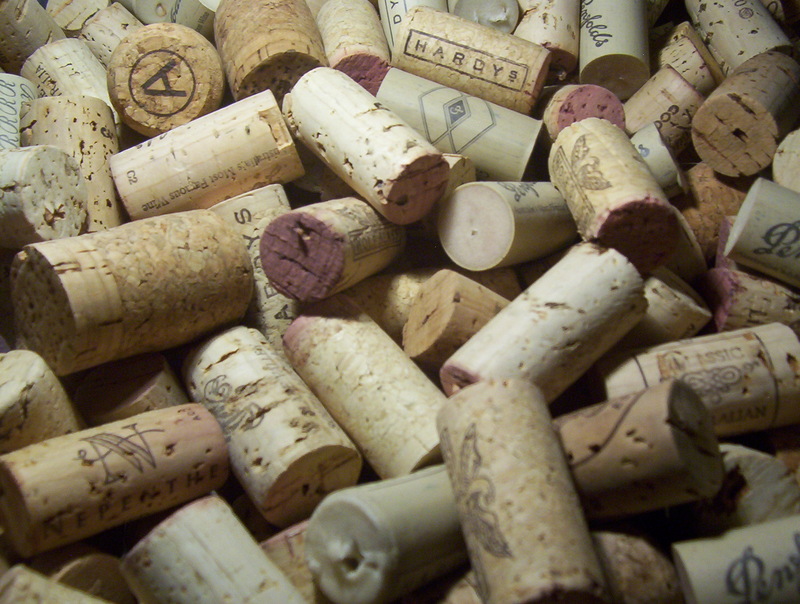 Yemm & Hart supports the conversion of wine corks into tile products for the built environment.